People have three ways to opt out, including joining a national register. As of the first day of 2017, everyone in France is considered an organ and tissue donor — unless they opt out. According to the new law, if individuals don't want to donate their organs, they must join the National Register of Refusal. Or, they can put their wishes not to donate in writing. They can also tell their family members. Those relatives must explain the circumstances of the conversation to doctors, who will transcribe the discussion with family. Relatives must then sign the transcription. 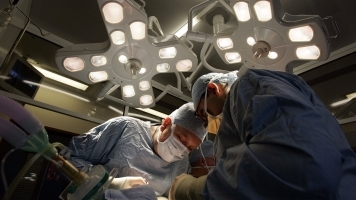 Before the new law, doctors needed consent from the donor's relatives to retrieve the organs if the person had not made clear his or her wishes regarding organ donation. According to The Guardian, families in France refused to give doctors permission to retrieve organs nearly a third of the time. Some people choose not to donate for religious reasons. Spain, Wales and Belgium are just some of the countries that already employ various degrees of presumed consent. Spain and Belgium have some of the highest rates of organ donations from the deceased in the world. Germany and the United States have "opt-in" systems. In the U.S., people who want to donate their organs must give their consent and sign up on state registries, often when they get a driver's license or state ID.